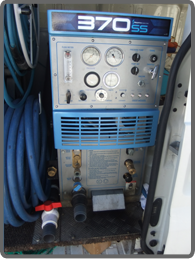 NO POWER NEEDEDWe are utilising the best high powered steam cleaning machinery available, which runs off the vans fuel. HIGH QUALITY MACHINERYThis is the best machinery out there, it's mounted in the van and just two hoses enter your premises. FAST DRYINGThis is the fastest drying steaming cleaning available due to the power and suction of the machine. We offer quality steam cleaning and do not need power. 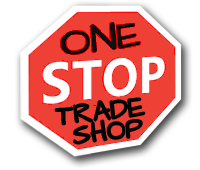 Reliable, cost effective, no fuss - one call does it all! Cost effective and reliable. One-off clean or regular clean for any size job. 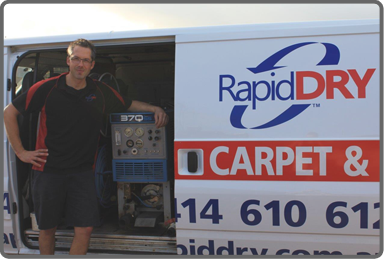 Rapid Dry Tile and Carpet Cleaning is owned and operated by Chad who lives in Adelaide; it is not a franchised business. 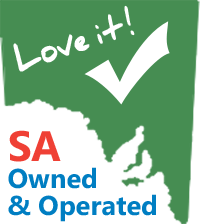 Chad is fully committed to offering a personal service, utilising a high powered truck mounted machine for the best carpet and tile steam cleaning available. The tile and carpet steam cleaning equipment used by Rapid Dry is self-generating, producing hot water for the best clean possible and faster drying period. An electricity supply is not required at the customer's residence and no dirty machinery enters the premises. Rapid Dry services include carpet steam cleaning, carpet dry cleaning, tile and grout cleaning, grout colour sealing, rug cleaning, upholstery cleaning, stain removal including pet, blood, wine, oil, chewing gum etc and also 24/7 water damage restoration. Chad offers his services for the domestic and commercial sectors and is able to clean one residential carpet through to carpets in schools, colleges, offices, universities and hotels. 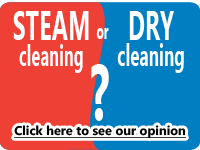 Should access be an issue we utilise the best portable steam cleaning machinery available. The cause of accelerated carpet wear is often due to foot traffic introducing dirt particles which become trapped in the carpet pile. These particles have an abrasive effect on the carpet fibres, effecting the carpets life and appearance. Steam cleaning your carpets once a year will enhance the appearance and extend the life of them.